Therapy Focus is a leading provider of professional therapy services, delivering support to more than 3500 people living with a disability in Western Australia. Therapy Focus’s therapists work collaboratively to help people with disability achieve their goals and optimise their quality of life. 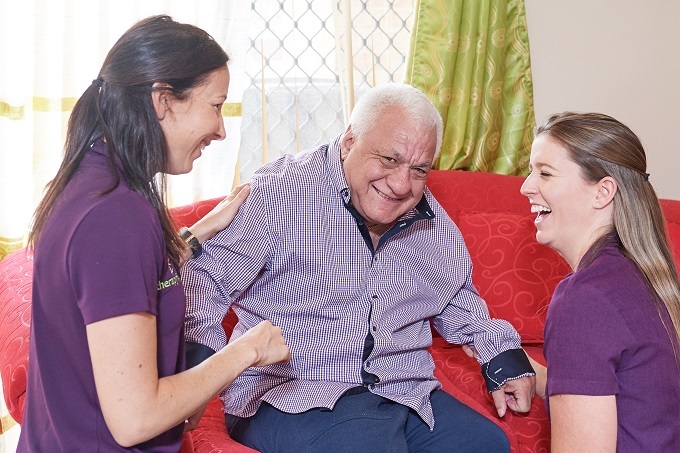 With more than 250 experienced allied health clinicians, including speech pathologists, occupational therapists, physiotherapists, psychologists, social workers and dietitians, Therapy Focus also employs behaviour support clinicians as part of their specialist Behaviour Support Team and registered nurses as part of their specialist continence team, PEBBLES. Comprehensive therapy services are available to people of all ages with disability and developmental delays. Services are tailored to the unique needs of each individual and can be delivered at home, school, in our clinics and in community settings. Evidence-based therapy services help develop your skills, build on strengths and grow potential. Therapy Focus works closely with families, carers, education and training providers, community groups, general practitioners, medical specialists and other service providers. Find out more about accessing all the available services by going online, emailing or calling 1300 135 373. You can follow Therapy Focus on Facebook to stay up to date with upcoming events and activities. If you require an interpreter to assist with your enquiry please contact the Translating and Interpreting Service (TIS) on 13 14 50. This content has been provided by Therapy Focus as part of the DDWA Organisation Membership program.